We’ve got another interesting test for you. This time it’s a Subaru Impreza STI MY2006 equipped with the Garrett GTX2867R. Here we compare normal 98RON petrol to E85 bioethanol. 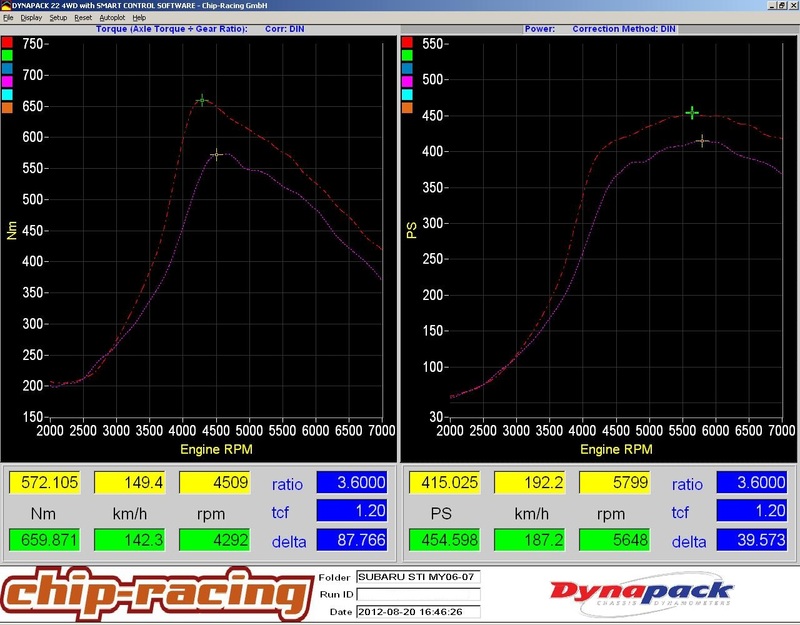 Once again, the difference between 98RON and E85 is huge as you can see in the dynosheet below. The only difference next to the fuel in the following test was the fuel map, which of course needs to be adapted to E85. Boost is identical!